This week we looked more closely at the concept of revision in writing by visiting with two influential writing theorists – Nancy Sommers and Donald Murray. Jeanne chose two complimentary readings which together offered many insights about writing-as-process. The Sommers & Murray articles prompted us all to think more about the key role that revisionary thinking plays in the act of writing. Murray wrote about the unfinished aspects of writing: “Instead of teaching finished writing, we should teach unfinished writing and glory in its unfinishedness .” Meanwhile, Sommers shed light on the problem of linear thinking that is attached to writing. Born of a problematic conflation between speech and writing, this linear mode of thinking reduces revision to an afterthought in the writing process. But as Sommers has suggested, perhaps writing begins at the point where speech is impossible. Writing is a recursive shaping of thought through/by language. 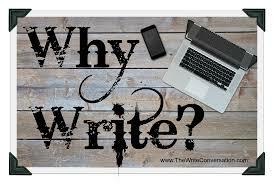 Said another way, writing is always, also, re-visioning. Thanks, Jeanne for another insightful presentation. The #unboundeq conversation (on online privacy, trust, and security) also extends to the current Equity Unbound theme of Algorithms & Data Politics. Internet use leaves traces of personal information that can be used by other parties for their gain. Our own data is tracked and used in ways we have no control over. As machine-learning algorithms come to shape and dominate decision-making in global society, the pressure to make more personal data available will steadily increase. Here we take a closer look at this tipping point moment – how does artifical intelligence and data tracking continue to shape the global cultural landscape, and what can we do about it? Some materials to consider include Eli Pariser’s Beware online “filter bubbles” (TED Talk), Safiya Noble on “Algorithms of Oppression” (Podcast & article in Engine Failure) and Cathy O’Neill on “Weapons of Math Destruction” (podcast). Each of you selected a writing reflection theme to contribute to your final project. You were able to work well together to build out a timeline for the remaining weeks (3+) in the semester, and what work might make sense to complete at certain points in time over the course of the next few weeks. You also discussed design concepts and concerns for the site you will build together and imagined a distribution of tasks for each member of the group. For next week, you agreed to develop a brief “concept draft” or “sketch idea” for each of the 5 themes. (This can be just a couple of sentences for each theme which might include your idea – the direction you might want to go and the materials you might want to use. In addition, you decided to write a full draft of the theme you personally selected. In short, you will draft one of the five “vignettes” you will be composing for this project. You all agreed that this would be no longer than a page. Please read The Movement of Air, the Breath of Meaning: Aurality and Multimodal Composing by Cynthia L. Selfe. Christina will present this article in the first part of our class time. 2. Your “concept draft” or “sketch idea” for each of the project 5 themes. 3. Your full draft (first “vignette”) based on the project theme you personally selected. We will spend the later part of our class time in workshop and development mode. 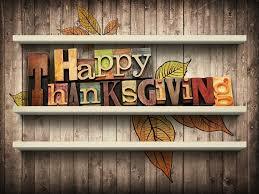 Have a peaceful and nourishing Thanksgiving everyone! !